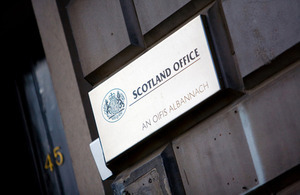 Free trade between the UK and the US is essential to economic recovery and prosperity in both countries, the Secretary of State for Scotland told an American business audience in Washington D.C. earlier today. There are still a number of significant barriers to trade and the UK is committed to the EU and US launching negotiations around a transatlantic free trade agreement in 2013. The EU-US High Level Working Group will report on this issue before the end of the year. The creation of such an agreement is one of the UK Government’s top trade priorities and would help promote growth and jobs in both economies. Michael Moore told a breakfast meeting of the British American Business Association the US and Scotland had established and maintained historic trade links which have grown to the point where the US is our second largest export market following the rest of Europe. The UK is the US’ fifth largest trading partner and one in six of every pound created by UK exports comes from trade with the US. Last year Scotland exported around £3 billion of goods to the US market. The Minister stressed the importance of the relationship for Scotland, saying the UK and the US are the largest investors in each other’s economies. They enjoy the largest foreign direct investment relationship in the world and British companies support around 1 million jobs in the US, roughly the same amount as American companies operating in Britain. The Minister, who is visiting the US and Canada this week to promote Scottish interests and trade, told the association it was vital for the UK to build on its trading relationship with the US to help underpin our economic recovery. “The UK and US continue to gain strength from one another. Our common values, goals and language make us natural trading partners and our relationship has gone from strength to strength over the years. We cannot be complacent especially as we are so interlinked at an economic level, providing millions of jobs through investment in our respective countries. “The UK Government wants to see that relationship lead to more prosperity and growth in the coming years. The transformation of the UK’s tax and regulatory environment coupled with a focused industrial strategy is sending a clear message to the world that the UK is open for business - and a great place to invest.